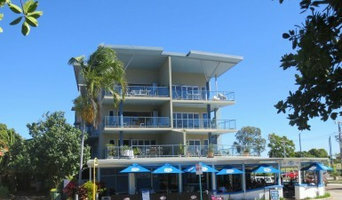 DESIGN: Specialising in dynamic and superior building technology that outperform standard Australian building methods. German 'Passivhaus' (Passive House) standards. Collaborating with Architects, Engineers and Builders on Residential, Commercial, Institutional buildings to achieve superior sustainable buildings. CONSULT: LAROS Technologies consult for remedial defect repairs on existing buildings. SUPPLY: National supply of the full suite of building technology required to achieve Passivhaus construction methods. JSCE are a Canberra based firm of consulting Structural Engineers that has been practising in the Canberra and surrounding NSW for the past 40 years. 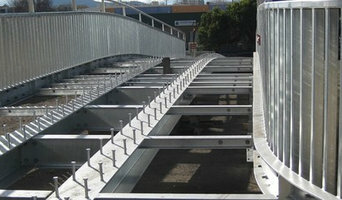 We have useful experience with residential, commercial, institutional and Government projects. Projects range from small residential alterations and additions (including new builds) through to large commercial and Government/Institutional upgrade projects and civil projects. We also have experience with historically relevant structures. JSCE are currently second party certified with the ACT Government for Engineering and Engineering Design services. History Heritage Building Certification (HBC) was established on the 9th September 2013. The name (heritage) was chosen as a derivative from a traditional brand regarded as emblematic of skill and commitment to service rather than valued objects and historic buildings of cultural significance. The company is based in Queanbeyan NSW and provides building surveying and certification services in NSW and regions and the ACT Canberra areas. David Millar is the Director of Millar Consultancy Pty Ltd trading as HBC and heads the companies building surveying functions. Experience and Qualifications As a practising building surveyor and building code consultant for over 22 years, David has developed a broad spectrum of knowledge to ensure our clients experience a smooth transition from initial inquiry and application to final inspection approval. Previously employed with local government in Queensland, Victoria and the ACT government in Canberra, David has also been employed in the private certification industry in the ACT and, although having attained a longer association with government process objectives and policies, is very responsive to clients expecations in terms of commercial demands and priorities. David has a degree in both building surveying and building design together with a graduate diploma in business management and is accredited nationally at level 1 with the Australian Institute of Building Surveyors (AIBS). HBC is focussed primarily on providing building certification deliverables in NSW and ACT regional areas that include health and public buildings, commercial and industrial buildings and high and low rise residential buildings. HBC (David Millar) is registered in NSW as an A1 grade Accredited Certifier and Principle Certifying Authority (PCA) and also licensed in the ACT as a Principal Building Surveyor. We’ve been helping Canberra businesses with their signage needs since 1988 and we know our stuff. We take a collaborative approach when creating signs and can advise you on the ideal sign for your needs. We strive to work with you on timeframe and budget. Jon Loiterton: Jon has been in business in Canberra for over 26 years. Jon’s passion for his Signage business is evident from the quality and attention to detail he puts into every sign created. As a family owned business, we focus on security issues by helping clients to unlock their homes, cars and offices. We are also a supporter of Australasian Institute Of Policing. We are open 24 hours a day, so we can be called at any time. We offer a reliable service, which is based on transparency and honesty, values that are built into the family business. So, if you are in need of a fully licensed, reliable and dependable locksmith in the Canberra and Adelaide, then be sure to give us a call. We know that locksmith related repairs can prove difficult and stressful, which is why we will be there very quickly to sort out your issue. As we are locally based, we have a very quick response time to ensure you are not kept waiting. We have a fleet of vehicles which are equipped with all the tools needed to sort out any problem. We can deal with any security issue, as our staff are fully qualified and certified. As they juggle your demands and the work of home builders, the Canberra, Australian Capital Territory building project manager often benefits from a construction industry background. This may also assist you when you need to hire additional contractors. 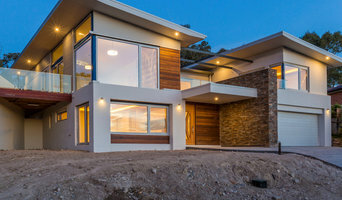 Look in the Professionals section of our website under Canberra, Australian Capital Territory specialty contractors, then select the nearest metro area for a contractor. You can also look through Australian Capital Territory photos of completed projects to see how a contractor might approach design challenges.